What does it really take to become a top player? Limitless: What if your speed and reaction time were unlimited? Desmond Douglas, now aged 56. What's his secret? Matthew Syed in Bounce  recounts the story of the time Desmond Douglas (a top table-tennis player with world-renowned lightning-quick reflexes) was given a test of his reaction speed. The test involved pushing a button in response to a light cue, and to everyone’s amazement he was found to have the slowest reaction time of the entire England team. The result was so surprising that the machine was initially thought to be faulty, but this result has been repeated time and time again with other athletes. So how did a man with the reaction time of Jabba-the-Hut become the quickest of the quick in a sport where speed is everything? Experts are much faster than less accomplished performers. But surprisingly, superior speed in their sport of expertise does not show up in general tests of their speed. In tests outside their domain of expertise they perform no better than any average person. This even includes skills that are very relevant to an activity such as the finger speed of expert typists. Surely fast typists have fast finger speed? Nope. This has been studied and the results are in…just average . Yet these people clearly are able to move and react more quickly while performing, so what is happening? So where do top athletes get their speed? Syed explains that the secret lies in the extensive knowledge they have acquired in their domain of expertise. This knowledge (gained only by experience) allows athletes to react to subtle cues to anticipate events before they happen. In typing it means being able to read ahead to anticipate what words are coming up and cut down the time between successive letters. For table tennis champion Desmond Douglas, he was able to react to cues in his opponent’s movements to anticipate where they would hit the ball next. He was therefore able to start moving in the right direction much earlier, rather than waiting to see where the ball was going before reacting. In this way, experts find shortcuts that allow them to bypass the normal restrictions imposed by basic physical abilities. Wow! This is probably why the very best are seemingly able to perform super-human feats. This ability to anticipate is an example of heightened awareness in game situations, which defines sporting greats perhaps more than any other quality or skill, and tennis is no exception. Roger Federer himself has stated that his powers of anticipation are critical to the superiority of his game: “I have the impression that I sense how a ball is coming and my reactions are automatic”. The great Australian coach Tony Roche knows better than most what makes a tennis champion, and has said of Roger: “He’s never in a hurry…The hallmark of champions in every kind of sport is that they have more time than others”. A death blow for natural talent? 1)	For expert performers, the speed and fluency of their complex motor skills do not depend on raw reaction times or faster muscle contractions or the speeds of the individual movements that make up the skill. Instead, it is more important how a series of skills is put together . 2)	This means that the speed of your motor skills can be faster than predicted by the speed of each of your individual movements or reactions. 3)	This insight opposes the idea that our fixed attributes can limit our ultimate performance level. 4)	These findings are so powerful because speed and reaction time are exactly those abilities that are most often cited as innate and unchangeable. They lie at the heart of the natural talent myth. Great. But what does all this mean for my tennis? Yes, there will be a time early in your learning curve when you will be limited by your physical constraints. You will see the ball coming towards you, then decide which shot to play, then run to the ball, then hit your shot, then wait for the ball to come back. But with experience you will learn to integrate these skills into a fluent sequence of overlapping skills. The experts are defined by their ability to put these skills together with speed, accuracy, fluency, and consistency. Just to repeat once more: No matter what people will tell you (and they will tell you! 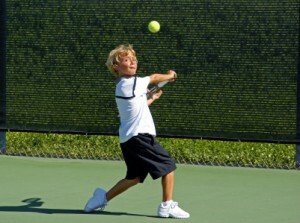 ), expert speed and reaction time and other tennis skills ARE NOT limited by innate/inborn/genetic abilities. This means that you DO NOT need to be born or blessed with any of these abilities. The critical point here is not just that they can be learned, but that they can ONLY be learned. The myth of natural talent remains popular for a number of reasons. Fortunately you can use this convincing illusion to help advance your own (or your child’s) career. Ericsson, K.A., Krampe, R.T., Tesch-Romer, C. (1993) The role of deliberate practice in the acquisition of expert performance. Psychological Review, Vol. 100, No. 3, 363-406. Abernethy and Russell (1987)The relationship between expertise and visual search strategy in a racquet sport. Human Movement Science, Vol. 6, Issue 4, p283-319. Shim, J., Carlton, L. G., Chow, J., & Chae, W. (2005). The use of anticipatory visual cues for highly skilled tennis players. Journal of Motor Behavior, 37, 164-175. Stauffer, R. (2006) Quest for Perfection: The Roger Federer Story. Where did the 10000 hour rule come from? Two prominent researchers in psychology Herbert Simon and Bill Chase noted in their 1973 study that no-one seemed to reach the top ranks of chess without a decade or more of intensive study . Following this observation it was proposed that no-one had achieved world-class expertise without 10 years of intensive practice in any field. Further research (in particular the wide-ranging work of Anders Ericsson, a world-leading authority on expert performance) has since validated this rule (found to equate to roughly 10,000 hours of practice) across numerous fields including tennis, music, mathematics, swimming, running, and it even applies to professional writers, scientists, poets, doctors, and artists . This consistent finding provided strong evidence that even those most strongly touted as naturals were not exempt from ANY of the hard work or persistence required. They were not afforded an easier path to the top, and there were simply NO exceptions to the rule. This finding adds to the evidence from our last post (Natural Talent: Fact or Fiction), and further weakens one of the key arguments for natural talent: specifically that a talented person can gain expertise more rapidly than others. It places an emphasis firmly on practice as the primary component of great performance, and possibly the only component that really matters. Anders Ericsson’s important 1993 study titled “The role of deliberate practice in the acquisition of expert performance”  revealed that the amount of extra-curricular practice specifically (i.e. practice alone or separate to scheduled lessons) was the key difference between good and elite performers. This is where top players get ahead of their peers: The top players tend to stay behind and practice after training, and they voluntarily give up leisure time to do a bit extra. They go beyond the standard sessions that everyone else does. They seem to know that their practice really does count and that extra practice is the key to improving more quickly than others. There are NO exceptions to the 10000 hour rule. In a previous blog post “What is Natural Talent?” we talked about the commonly held belief that natural talent plays a large role in achieving great success. This is especially thought to be true of the truly great performers such as Roger Federer, Tiger Woods, Bobby Fischer, Mozart, and Michelangelo, because the level of performance attained by these people seems to defy belief. Their abilities appear super-human, and unattainable by an average person, and so natural talent is lurking nearby to take the credit because there is no obvious explanation for such expertise. This stems from the classic nature vs nurture debate, where if something cannot be explained by environmental influences, then it is attributed to nature. However when you examine the childhood and practice history of these master performers, there is indeed an explanation to be found, and they turn out to be shining examples of the 10 year (or 10,000 hour) principle. Their histories are well documented (as discussed in Matthew Syed’s amazing book “Bounce: How champions are made” ) and without exception they all had extraordinary childhoods. Tiger for example watched his father hit ball after ball in their garage before he could walk, was given his first club before he turned 1, and was being coached by a professional at age 4 . Similarly Mozart’s father (himself a famous composer) started him composing and performing intensively at age 3 , and Bobby Fischer by age 12 had already joined one of the world’s strongest chess clubs (the Manhattan Chess Club) and was well on his way to becoming the best educated chess theoretician in modern times, with a collection of about 400 books and thousands of magazines and journals on chess . Even with these extraordinary upbringings, they did not produce world-leading performances until many years later. Woods won his first Major at the tender age of 21, but by that time had been in the game for nearly 2 decades. Mozart produced his greatest works only after he’d been composing for two decades . Fischer became more of a world force in his late teens and his greatest performances (including becoming world champion) came in his late 20s . Federer won his first grand slam just before his 22nd birthday. Michaelangelo produced his first great work The Pieta at 24. These examples show that there’s only one way that greats are made: slowly, over many years. What we know about the world’s greatest performers refutes the idea that they were natural talents who were able to learn their professions more quickly or more easily than others. In reality they chalked up more practice hours from a very young age, and in some cases (notably Tiger and Mozart) probably more than anyone before them in history. The lack of exceptions to the rule places the idea of natural talent in serious doubt. If natural talent was as important as people think, surely some exceptionally talented individuals throughout history would have proven exceptions to this rule. A symptom of the 10 year rule is that there are very few who have risen to the top of world sport at an age younger than 16. Tennis has produced notable challengers to this statistic including Jennifer Capriati who had reached the French Open semi-final and reached world #8 before she was 15, and Martina Hingis who won the Australian Open at 16 and 3 months (and won a grand slam doubles title at 15 and 9 months). But once again they had exceptional upbringings, and started playing at 2 and 3 years old respectively, and had STILL already clocked over 10 years of dedicated practice in their sport. These examples show that given a super-early starting age it’s not impossible to get to a world-class standard before 16, but the attempt to do so involves hard training from a very young age, and produces burnout in more cases than not. This point is reinforced by the large number of child prodigies that disappear and never go on to adult success. The spectacular burnout that derailed Capriati’s career at only 17 years old is an all too common tale. To her credit she mounted a successful comeback in later years, but most do not. What does the 10000 hour rule mean for today’s tennis players? There are no shortcuts for you to get to the top, it’s 10+ years of hard work no matter who you are, and the assumption that certain people have a natural talent that makes the road quicker or easier does not hold true. There are no shortcuts for anyone else either. In other words everyone is climbing the same mountain. You CAN develop extraordinary skills (even super-human). Hint: look to the extraordinary childhoods of the great players and athletes, and how they practiced, and use them as your role models. 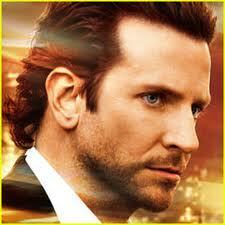 Next blog post: Limitless: What if your speed and reaction time were unlimited? In our next post we continue to show you that natural talent isn’t what most people think! We strike at the very core of natural talent by bringing you some amazing research findings which show that your speed, reaction time, and memory are NOT limited by innate (or in-born) abilities. Ericsson, K.A., Charness, N., Feltovich, P.J., and Hoffman, R.R. (Eds) (2006) The Cambridge Handbook of Expertise and Expert Performance. Cambridge University Press, New York. Syed, M. (2010) Bounce: How champions are made. Woods, E., McDaniel, P. (1997) Training a Tiger: A Father’s Guide to Raising a Winner in Both Golf and Life. Colvin, G. (2008) Talent is Overrated. Brady, F. (1973) Profile of a Prodigy: The Life and Games of Bobby Fischer. Schonberg, H. (1997) The Lives of the Great Composers. Widely attributed to Michelangelo on the web, original publication of the quote uncertain. Natural Talent: Fact or Fiction? Natural talent has been the focus of many studies designed to reveal the secrets of top performers. Such studies asked: What makes the world’s top performers the best at what they do? And many expected to reveal that there are certain people who learn much more quickly than others in their chosen activity, and progress their skills more rapidly. Leaders in this type of research include Anders Ericsson, Bill Chase, Carol Dweck, and Benjamin Bloom, and more recently books by Matthew Syed (Bounce), Daniel Coyle (The Talent Code), Geoff Colvin (Talent is Overrated), and Malcolm Gladwell (Outliers) have brought their ideas further into the public domain. Get hold of these books and read them- their ideas have the potential to change your approach not only to tennis, but to everything you do. 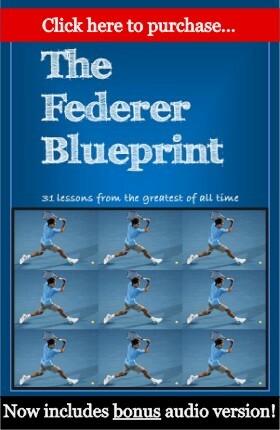 Reading these books and following up with further research inspired me to start Blueprint Tennis because I feel that this knowledge is absolutely crucial for anyone who wants to achieve great things. In this and the next few posts I will share with you some of the most useful findings about the relationship (if any) between performance and natural talent. Of course our focus in this blog is tennis, but let’s begin here by learning some fundamental lessons from musicians. Unlike tennis, where skill is difficult to measure objectively, the ability of musical performers can be measured very precisely by exams, and by their proficiency in playing set pieces of varying difficulties. Learners pass through a series of levels or grades, and they cannot progress until they have satisfied the skill requirements for each grade. This standardisation of ability makes music extremely useful for studying performance, and gives us great opportunities to examine which factors can best explain differences in performance levels. On top of this, natural talent is generally assumed to be more essential in music than any other field (followed closely by sport), so many researchers have targeted music in their search for evidence of natural talent. In an English study, 257 music students from novices to virtuosos were interviewed and tested extensively, with the standard of their performance measured by a uniform national grading system. When the results were analysed to isolate which factors consistently influenced performance, the researchers could not find any evidence of “talent” accounting for differences in ability. It turned out one factor, and only one factor, predicted how musically accomplished the students were: how much they practiced. Now, the best students DID reach higher levels of achievement at younger ages, BUT the number of practice hours taken to achieve a given level was the same for both average performers and top performers. For example, all levels of performers averaged 1500 hours of practice to achieve the level 5 standard. In other words, the best performers got there sooner (and younger), but only because they practiced more each day. 1) There is a direct relationship between practice and performance. This is incredibly empowering because it says that where practice times have been analysed (in this and other studies), the person who has built up the most practice is the better player. Already this allows us take more responsibility for our game. If we cannot beat player X, then we know that our training is the first place we should look. 2) Top performers learnt their skills at the same rate as everyone else. They simply advanced further because they started earlier, practiced more often, or continued for a greater number of years. The observation that top performers were not able to learn any more quickly than anyone else is particularly damaging to the concept of natural talent, and suggests that it may not be such a key ingredient for success after all. These findings are being duplicated in more and more fields (including many sports) and one of the primary aims of this blog is to hunt down the most relevant of these studies, and continue to pass on the secrets of top performers. Next blog post: The 10,000 Hour Rule. The findings outlined above are further supported by the well-known 10,000 hour rule. This concept is extremely important for our understanding of how great players are made. Never heard of it? Then our next post is for you. We examine its origins, the evidence, examples, and what it really means for young tennis players. Sloboda, J.A., Davidson, J.W., Howe, M.J.A., and Moore, D.G. “The role of practice in the development of performing musicians”, British Journal of Psychology 87 (1996), p287-309. Natural talent is a concept that goes back thousands of years. Ancient mythology is full of stories of vastly skilled masters of their craft who were rumoured to have been born with their talents – gifts from the gods. This idea of being born with a natural talent still persists today and is heard most in relation to great sportspeople or musicians, or to someone who is new to a sport or activity and yet shows some early skill or aptitude for it. Definition: Natural talent is an innate or inborn gift for a specific activity, either allowing one to demonstrate some immediate skill without practice, or to gain skill rapidly with minimal practice. By this definition, the key advantage of natural talent is that it allows the individual a steep learning curve, whereby he or she acquires skills readily with less practice or hard work than the average person. As well as the advantage of learning quickly, natural talent is also said to increase one’s maximum potential. This implies that each individual has a ceiling that caps the highest level of performance they can attain, no matter how hard or long they train. For gifted performers, this ceiling is said to be higher. We all know the concept, and it is woven into every part of our lives. 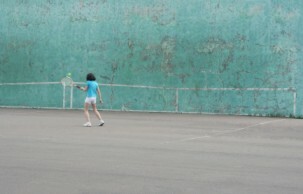 People are said to be “gifted”, or “born to play tennis”, or “a natural”. It is the cornerstone of many talent scouting programs, which look to recruit children with raw or untapped talent that they can build upon with refined training. This is because natural talent is seen as an absolutely essential (and unchangeable) component of a top performer. It is thought that without natural talent you can only go so far. So what? Why are we discussing natural talent? The concept of natural talent is important to explore because most people consider it an ingredient essential for success (see our previous post discussing the formula for tennis performance). If you think you’re immune to the idea, ask yourself how many times you have said you’re not suited to some activity, or given up quickly because you demonstrated no immediate skill for it. Even though it’s a vague and mysterious quality, the idea of natural talent is so ingrained into people’s beliefs that it often goes unquestioned. But while the general public carries on merrily using a lack of natural talent as a reason not to pursue certain activities, or as an excuse for under-performance, there are researchers who are interested in what really makes great performers great and whether it has anything to do with natural talent at all. Our next post reviews some of the important findings of their research, and should get us a bit closer to figuring out the true ingredients for a great player. Tennis performance: What’s the formula? While playing as a junior, I always thought that your tennis ability was determined by a murky equation that combined practice with your underlying natural talent for the sport (perhaps in roughly equal measure). While I knew there was a positive correlation between practice and performance (i.e. if you practice you get better), I did not know how much was enough. On top of this, I had no idea how much practice my opponents were doing, or how much natural talent they had. So my ability relative to others was based on a combination of the following factors. Whether you realise it or not, everyone has their own unwritten equation for performance. The one that most people use states that their performance is the sum of their practice + coaching + natural talent + current form (as shown below). At a glance this may seem reasonable, because there is some truth in it, but in its current form this formula is both misleading and unhelpful for young players. Why is this equation so harmful? There are too many unknown variables in this equation! So many that players can’t see the exact relation between practice and performance (or investment and reward). This seriously decreases motivation to practice. It’s not that players aren’t willing to work hard, but that they aren’t willing to work hard for an uncertain return on their time and effort. Think about it…would you spend hours, days, and weeks working for someone without knowing whether you’d be paid $2 per hour or $50 per hour? Well it’s the same with tennis practice: does practice make up 20%, 50%, or 80% of our performance? Is natural talent worth 10% or 60%? What is the quality of my coaching? How much are my opponents practicing? The unknown variables also allow us to very readily blame poor performance on one of the factors that are out of our control (such as talent). As a result, we are not convinced we need to change anything to change our results and therefore tend to continue on the same path we are on. The familiar excuse “I just had a bad day” similarly encourages us to continue on the same path, and you don’t need me to tell you that the same path leads to the same results. The solution I aim to provide in this series of blogs (and one of the main goals of the BlueprintTennis website) is to define the real relationship between practice and performance, so that you know what rewards you can expect for your investment in training. Once you have confidence in the true role of practice, we can explore what kind of practice causes the most rapid improvement, and why. Next blog post: What is Natural Talent? As noted above, natural talent forms a large part of most people’s equation for performance, and most people are convinced that it’s important for making a champion. But there has been a lot of research into the matter, so rather than make assumptions, let’s stop to examine the precise role of natural talent and how important it is for your tennis game.